Welcome everyone. Please introduce yourself here. Tell us if you're an ally (which kin) or an existing EU/NAO Sanctuary member (include old board handle if different). Introduction??? No way, I might incriminate myself! Hi! Arnthain here, great work on the site! Can we help with monetary donations? Site looks great. Can't wait to get full access (hint, hint). Oh. Looks like that's been done already! Long time no see Sanctuary! I'm Xelas, you may remember being jealous if you were an NAO member during my time, and am also Dulardin's son. 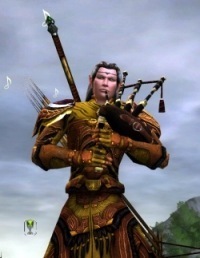 I am a retired LOTRO player, but I intend to play TOR like a fiend. I look forward to meeting all the people who joined since I left and reuniting with my old people! Site is lookin' fine by the way! Wow! He actually posted. I'm impressed. I am Bado ex-EU nooob and forum-a-holic. Hi.. er yea hi... um... *twiddles nervously* my *coughs* ... my erm name is erm Ulfang ... and *coughs* ... I'm erm .. I'm a gaming addict!!! Jag har inte gl�mt, jag kommer bara inte ih�g..
Hullo all. Haven't been on much lately, too busy with life and such. Will hopefully be back for Isengard, looking forward to playing with you all again.